Lomuarredi furnishes Airbnb, decorating the houses of their associates. Airbnb is an online portal that connects people looking for accommodation or a room for short periods with people who have extra space to rent, usually private. You can rent directly from the owners your favourite accommodation for your dream holidays. 24 hour support, secure payments, great homes and accommodations, more than 4.5M of accommodations, unbeatable prices, Airbnb host warranty, 191 countries around the world, detailed traveller reviews and free registration. These are some of the great advantages of going on holiday using Airbnb, which offers its services in almost every place in the world. Are you planning to provide your home by the sea or in the mountains for the Airbnb customers? Don’t you know how to furnish it with style? Follow our advice! Do you have to furnish the apartment of your dreams at a cheap price? Choose the European expert Lomuarredi! 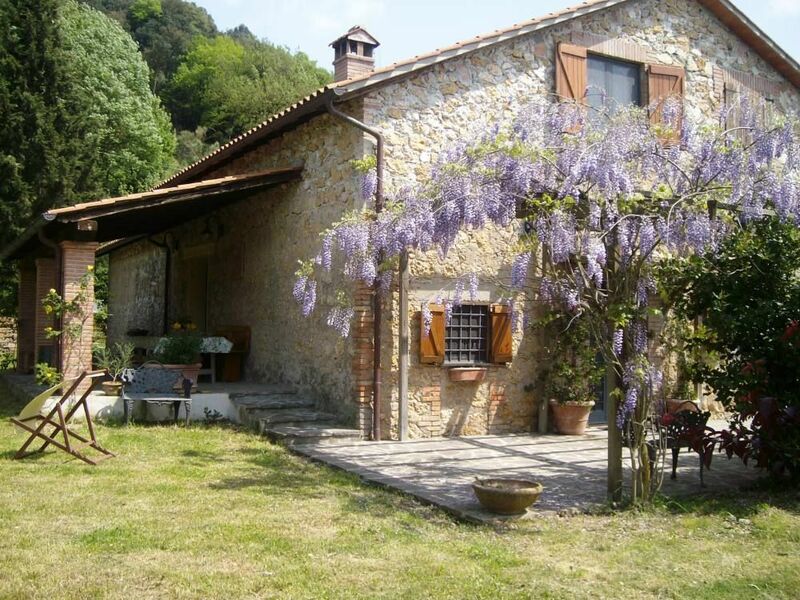 We furnish : Apartments by the sea, Chalets in the mountains, Rural houses. Our architects are at your disposal to make your dreams come true! 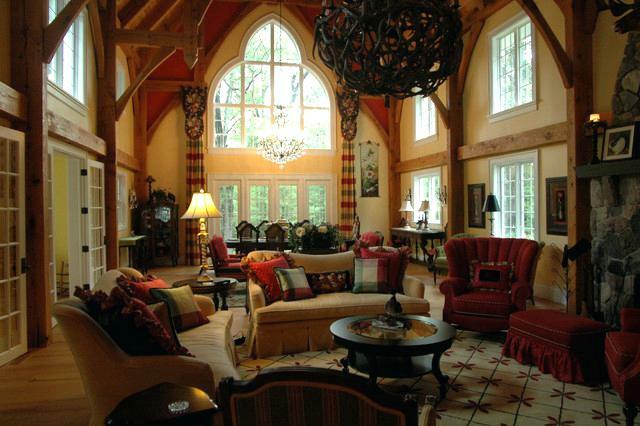 When we talk about a beach house we often consider it as a second choice in terms of furnishings. Maybe we furnish our villa with furniture no longer used and donated by friends or family, improvised furnishings, objects that we did not know where to store and then placed on the first available space. In short, the house by the sea, over time becomes almost a small deposit of objects and furnishings of little value. But why do we do this? Perhaps peopleâs most common answer is this: furnishing a house by the sea is too expensive and is not used all year round. It could be an exact justification, but why not give up a new furniture and at the same time cheap, which can make more pleasant the place where we spend our summer holidays? Imagine a fresh, unique and relaxing seaside house, with all the comforts available, cozy and original. 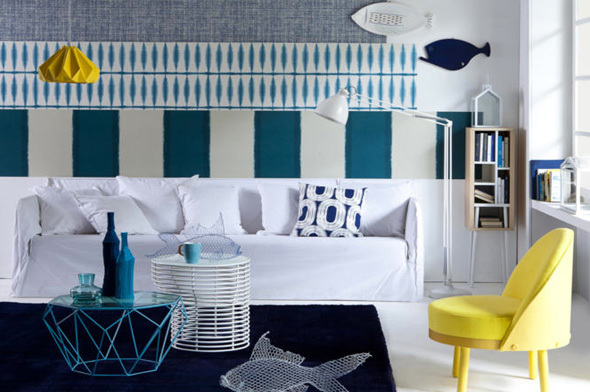 Let’s leave out the used furniture and think of a project for our home by the sea: let’s give it a touch of freshness. 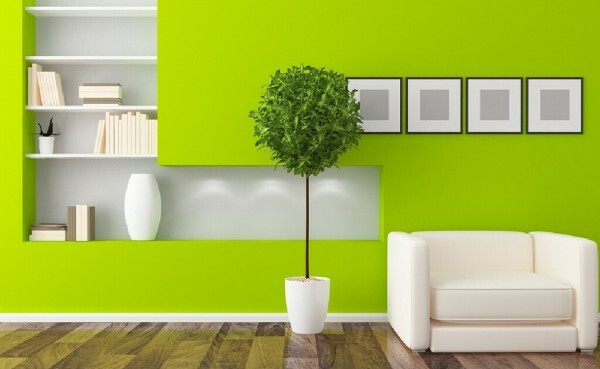 To give a touch of originality it is advisable not to focus everything on one color but to use combinations with white and pastel colors such as light blue, yellow or lime green that provide that sense of freshness and make the house cozy. We reject warm colors such as red, orange and purple that give a sense of warmth and tend to shrink the spaces limiting our relaxation. 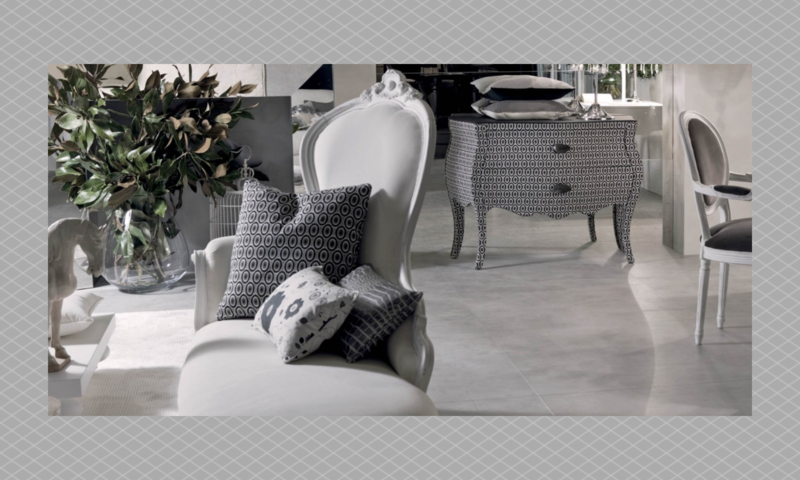 For the furnishing of the house by the sea, without giving up the “new”, we choose practical furniture and not expensive. For example, a small linear kitchen consisting of a refrigerator column, oven, sink, hob and mixer available in various colors, at prices around 3,000 – 4,300 euros. Once you have identified the kitchen with the many colors available we move on to sofas, armchairs and bed to give the opportunity to Airbnb customer’s friends and family to join them spending a few days in company. We recommend sofa not in white colour in order to prevent it from getting dirty easily, especially in holiday areas, and it would be better to use suitable sofa covers perhaps in stripes or colors that recall the furnishings. In the bedroom we recommend a cheap double bed with an investment of 1000-1500 euros, while in the living area would be fine a mobile TV holder. 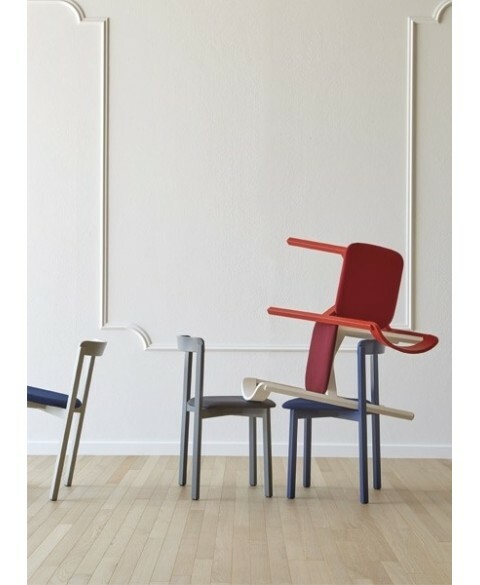 The minimal furnishing is completed by some furnishing accessories that can give that extra touch of design. 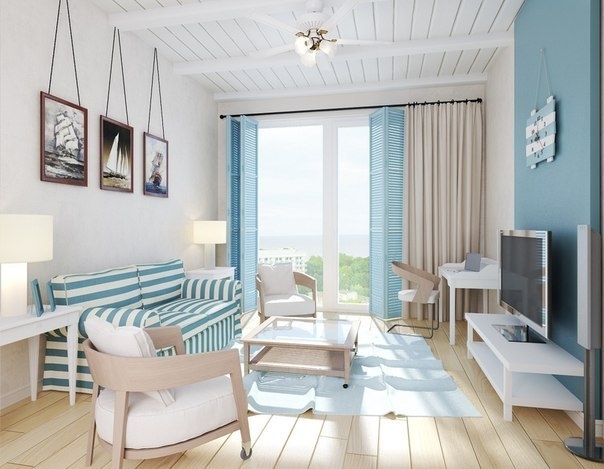 So with an investment of about 4,000-5,800 euros you can transform the house by the sea in a cool, cozy and modern space! 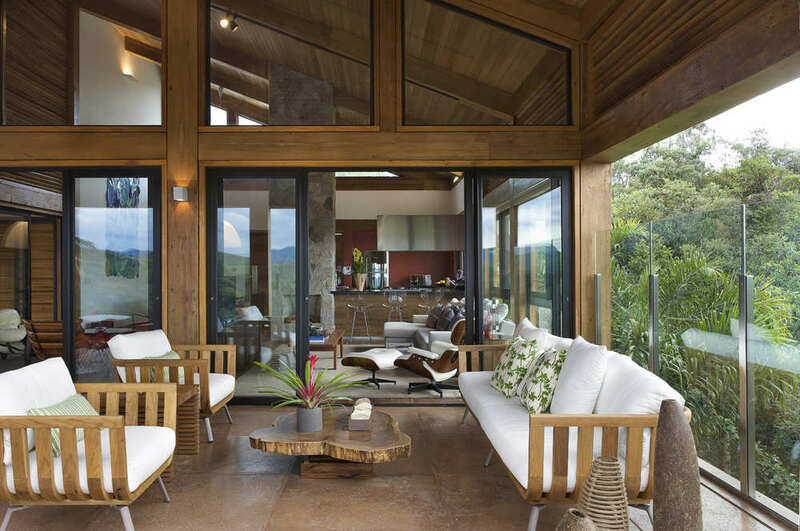 The high-altitude houses have a mountain furniture, generally, very simple and functional, which fits perfectly with the intent of those who want relax a few days surrounded by nature and fantastic landscapes. The kitchen is without a doubt the most well-kept environment, as it is the heart of the entire house. Depending on the space available, we speak of a real kitchen, equipped with all the most modern utensils and appliances that facilitate the preparation of meals, or a kitchenette, which can be used for the most basic culinary preparations. The designers propose, to break the traditional style, a “new” modern furniture style, born from the combination of different materials, such as wood and steel for the structural part thanks to their great strength, and glass, declined in crystal, for the aesthetic part, as a material that reflects the light and makes the environment immediately wider and more welcoming. With reference to the decorations, many decide to apply paintings, depicting images from nature to the walls, or for the photography lovers, there is a prevalence of auteur shots, with bucolic theme. The modern mountain furniture was born from the need to get out of the stereotype of the past, which saw the high-altitude home furnished exclusively in the traditional way, with antique furniture, to have instead a cooler and more functional design. The designers and interior designers have focused their attention primarily on a more basic style, with furniture made according to the criterion of maximum linearity, without frills. Wood, used as the main material because it is insulated against cold and weather, is combined with other materials such as glass or steel. The sofas and upholstered furniture, once pompous and spacious, are replaced with more squared models, which still facilitate comfort and result cheaper. Great space is also given to technology, through the installation of a home theater system, which allows you to watch movies as if you were at the cinema, wifi network, which allows you to surf wireless via PC, phone and tablet, and any other tool designed to increase relaxation and fun in the mountainous environment, which certainly promotes rest after the daily work stress. Lomuarredi furnishes Airbnb houses thinking to the final customer who will have to enjoy and live the holiday as he/her was in a traditional accomodation. In summer a country house is a real resource and is a refuge where you can spend pleasant weekends out of town, here are our tips on how to furnish a country house and our design advice in order to turn it into a comfortable nest away from the chaos of the city. When you want to furnish a country house you need to understand first of all the style you want to adopt; there are different country styles, each with its own characteristics. However, there are elements that unite different styles: wood, for example, is a material that is widely used in country houses, as well as the presence of a spacious kitchen: in the past, indeed, the kitchen was the focus of the country house, and even in the most modern design this feature is often respected. The Shabby Chic style is derived from the Provençal style, which takes its name from the French region of Provence. The elegant country houses in this area are characterized by a prevalence of white and very light colors. Among the most widely used materials there is certainly wood, worked in white, which nevertheless reveals the signs of time and its materiality. No, then, to white lacquered furniture and perfect. 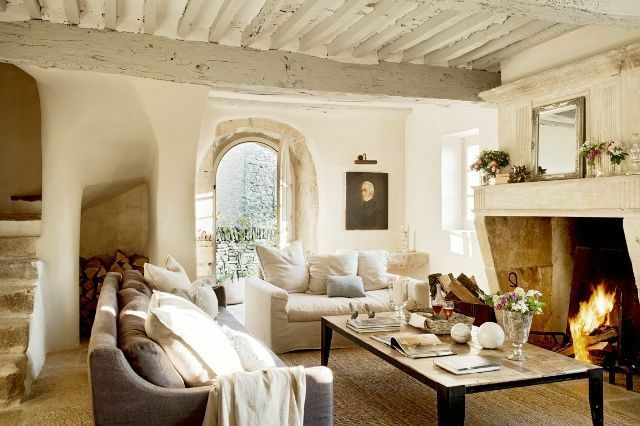 Typical of the Provencal style is the use of light fabrics such as cotton and linen in light colors or with floral decorations. In Provencal kitchens, moreover, an essential element is the sideboard, which is also white and worked. In the bedroom, wood will be used for wardrobes, mirrors and bedside tables, but the bed should preferably be wrought iron. For the decorations it is recommended to make extensive use of decorated pillows, cages and aviaries repainted white, large mirrors, floral decorations, pout-purri, but also baskets of wicker worked in white. 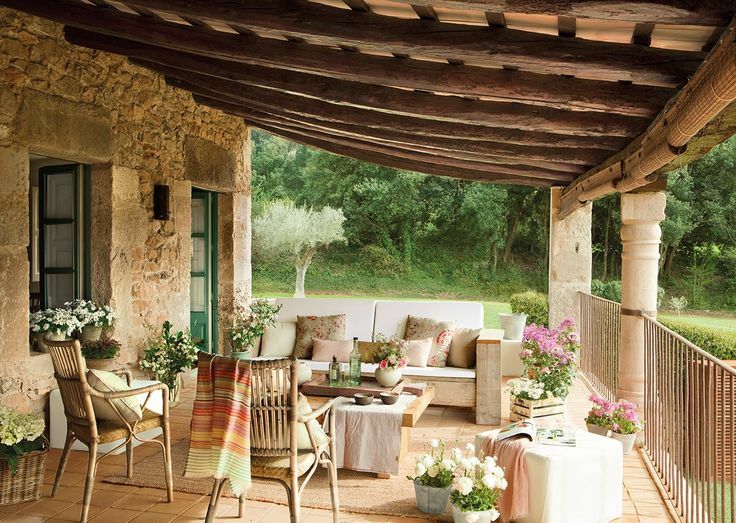 Therefore the Provençal style is a fairly rich in furniture that balances the number of elements with soft colors and large spaces, resulting in rustic but elegant, very pleasant and balanced style. The English country houses style, on the other hand, is characterised by darker, warmer and brighter colours combined all together. Here too we find a large prevalence of wood, often left in its original colours. Other materials widely used in this style are wrought iron and ceramics. For the upholstery of the sofas, the most commonly used motifs are the chequered wefts, the stripes or the plain colours. In addition, in a English style country house you can not miss comfortable upholstered armchairs, a large wooden bookcase, but especially a large fireplace placed in the living room or sometimes in the kitchen. 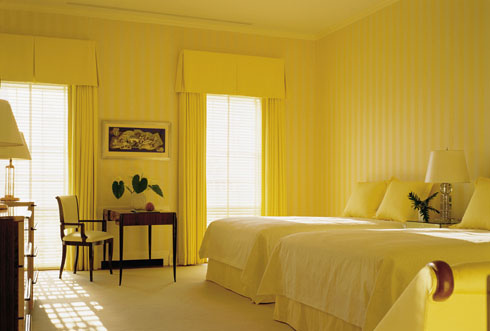 For the walls let’s forget the white colour, but it’s better to choose instead warm colors or floral wallpapers to match the colors of the curtains and the pillows. 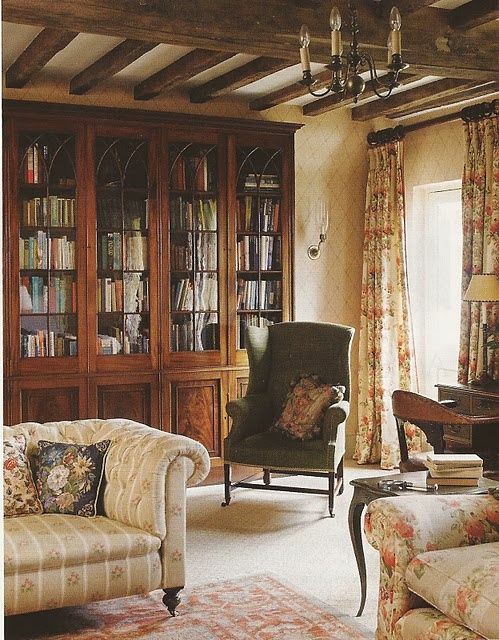 The English country style is indeed far from minimalism; it is instead characterized by a wide use of furnishing accessories such as abat-jour, numerous cushions, large curtains and colorful flower pots. For kitchen furniture it is preferable to use light colours, while for the floor of this room it is particularly recommended to use terracotta tiles. We hope you liked our article: Lomuarredi furnishes Airbnb. If you need tips, interior design projects or furniture for your home or you are associated with Airbnb don’t hesitate to contact us and we’ll be glad to help you to decor your dream house!